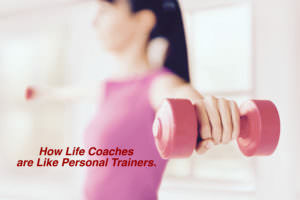 If I wanted to get in shape or lose weight, I would hire a personal trainer. And this is no different. I want a specialist in the area of relationships so that I can heal from this heartache, move forward and never make the same mistakes again. I’ve been doing it my way and it hasn’t been working. She knew what she needed. She knew she couldn’t become the woman she wanted to be on her own (otherwise she would have done it by now). She trusted me with her journey (…and I will be forever grateful). If you’re struggling in your relationships, feeling stuck or lost or alone, without knowing how to move through this, I can provide you the support and accountability you need, as well as guide you through the physical, emotional or mental places you likely wouldn’t travel to on your own. And I promise that in a matter of weeks, you will end up in a very different place than you are right now in your most important, most intimate relationships. PS: This was the client that reached out to me fromthe story above sharing her amazing story of growth and transformation.